Kelowna Therapist: Valiant Recovery - Therapist V4V 1E7. Send A Message To Valiant Recovery. 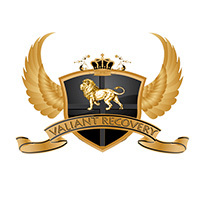 For nine years, Valiant Recovery has come alongside individuals and families who are interested in confronting addiction and substance abuse problems. With two recovery houses operating in Kelowna, British Columbia, and two more recovery centers started in Florida and Ontario, Valiant Recovery has become a trusted name in North American residential rehabilitation. Our facility accommodates clients immediately upon contact, welcoming every type of addiction and substance abuse struggle, including but not limited to alcohol and drug abuse, internet and gaming addictions, gambling/ food/ shopping addictions, and sexual addictions. Our 30, 60 and 90-day recovery programs are focused on treating the whole person, not just the addictive tendency. Clients can expect to leave the program with balance restored to their health, spirituality, relationships and sense of purpose. The underlying causes of addiction problems, such as grief, loss, abuse, stress and trauma, are addressed through a variety of therapeutic modalities. Clients strengthen their mental health through group sessions, individual counseling, family counseling, and aftercare treatment. Daily gym workouts and healthy meals ensure optimal physical health, and consistency in scheduling creates opportunities to practice time management. Because of the intensive nature of the program, clients are also given plenty of time for recreation. Outdoor activities are made available throughout the year, which may include skiing, kayaking, swimming, and farm visits, depending on the location. Detoxification treatment is available to those clients who are experiencing physical and emotional withdrawal symptoms, and will be most effective when followed up with one of our comprehensive treatment programs. We also offer a sober living facility for graduates of the program who want to strengthen their relapse prevention skills.